Guests on Holland America cruises enjoy lots of enriching activities, especially for foodies. America's Test Kitchen offers live cooking shows and workshops. Do you love cooking? Learn to make pasta with ease or perfect that pie crust! Naturally, that's not all that the Holland America cruise line has to offer. Would you like to learn how to make wine? Hope to finally figure out how to edit your photos on a computer? These cruises offer programs like these. You can also watch movies under the stars or enjoy live music at B.B. King's Blues Club, or you might indulge in authentic Italian or French meals at dinnertime. You can do it all when you travel on the Holland America Line! And that's only on board. Now, choose your destination. 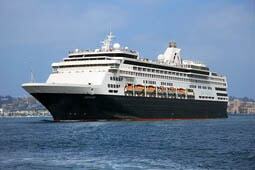 Sail away on Holland America cruise ships to Asia, Alaska, or the South Pacific. You can even spend the holidays sailing the Caribbean, New Zealand, or Indonesia when you travel on Holland America cruises. Those who enjoy cruise traditions and want a quality experience in a refined environment but like the facilities and range of choices available on new super liners. Small ship devotees open to trying a large ship. Former budget cruisers ready to move up to higher quality. Through BBC Earth’s innovative programming, guests will be taken closer to the ocean and natural world through groundbreaking concerts, films, shows, children’s activities and feature cruises. In the Culinary Arts Center, presented by Food & Wine® magazine, guests can enjoy demonstrations and hands-on cooking classes. 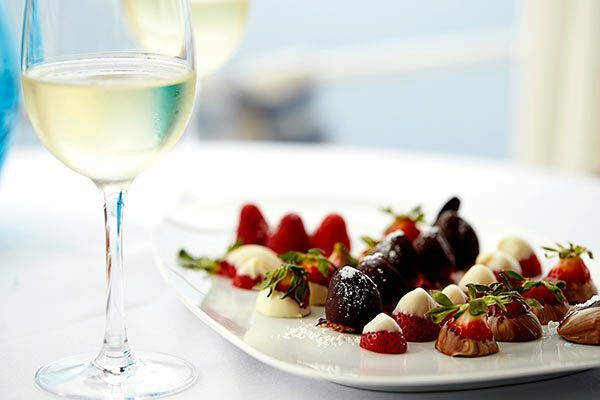 Select cruises feature some of the world’s leading culinary experts. Explorations Café, powered by The New York Times, offers a coffeehouse environment featuring custom espresso drinks, pastries, Internet stations, and one of the most comprehensive libraries at sea. From photo editing to PC security and cloud storage, Digital Workshop, powered by Windows, offers fun, free and informative sessions led by Microsoft-trained hosts. Holland America Line is celebrating its Dutch heritage in a new partnership with Rijksmuseum, the most-visited national museum in the Netherlands. Through the collaboration, the “Rijksmuseum at Sea” will move fleetwide over the next several years. On ms Koningsdam guests can experience BLEND by Chateau Ste. Michelle, the only purpose-built wine-blending venue at sea, with interactive learning and a chance to create their own custom wine to enjoy on board. Introducing Music Walk: Entertainment has always been the heart and soul of evenings aboard Holland America Line, and on ms Koningsdam that promise takes new dimension with Music Walk, three stages presenting a variety of live music nightly. Lincoln Center Stage: In an exclusive partnership with the world’s leading center for the performing arts, Lincoln Center Stage showcases outstanding, live chamber music performances. BB King's Blues Club: Direct from Beale Street, the B.B. King’s All-Stars Band brings the best of Memphis music to sea. From funkyand fast to soulful and smooth, this eight-piece band performs nightly. Billboard Onboard: Guests are part of the show as live musicians rock the crowd with 50 years of chart-topping hits. Between nightly sets, guests can sing and play along with trivia questions presented on screens throughout the room. 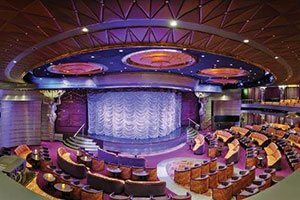 World Stage: An extraordinary theater at sea, features a two-story, 270-degree high-definition LED screen that immerses audiences in an everchanging backdrop of sight and sound. Throughout your cruise vacation, you will enjoy delicious and innovative menus across a broad range of dining venues. 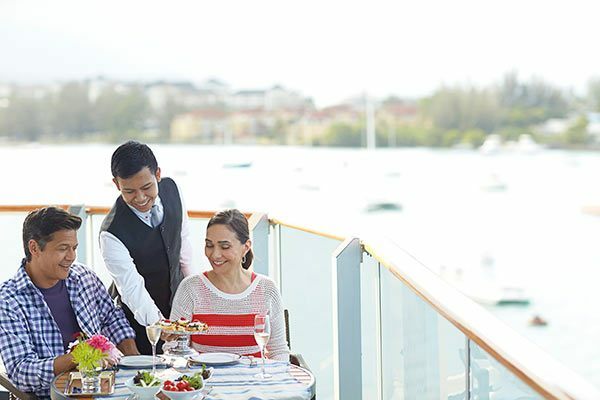 From a casual bite poolside to a formal five-course affair in the classic main Dining Room, the crew of Holland America Line will orchestrate a truly memorable dining experience. Led by Master Chef Rudi Sodamin, the exceptional culinary staff creates signature Holland America Line dishes using only the freshest produce and the highest quality meats and seafood available. The knowledgeable wine stewards are adept at pairing the perfect wine with every dish. Whether you desire the relaxed atmosphere of the Lido, the elegance of the Pinnacle Grill or dinner for two on your private verandah, the choice is always yours. 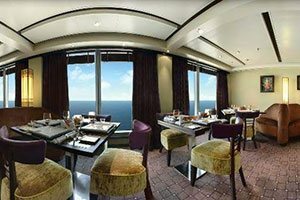 As You Wish® dining on all cruises: From a festive five-course affair to a quick, casual dinner for two, the As You Wish® dining lets you choose the venues and style that suit you. 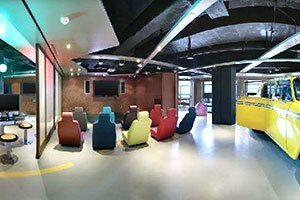 On Holland America ships, you'll find a wide variety of exciting youth and teen friendly activities and facilities for guests ages 3 to 17. With supervised fun for the younger guests, the entire family can have the cruise vacation of their dreams. Safe and Managed Supervision You can feel at ease knowing that your child's onboard experience is safe and well-managed. All Club HAL® activities are supervised by permanent, full-time staff, and are designed to be kid friendly and age appropriate. Youth Staff hold degrees in education, childhood development, recreation, leisure studies or related fields. Club HAL® - Kids*: Children, ages 3-7, can participate in such activities as pirate treasure hunts, hands-on pizza making, storytelling, "Little Artists" crafts, ice cream sundae parties and a farewell pajama party. Children in the Kid's age group must be toilet trained. Children in pull-ups or diapers are not allowed in the youth facilities, due to mandates from US Public Health. Exceptions to this rule cannot be made. Club HAL® - Tweens*: Tweens, ages 8-12 take part in Xbox and Wii tournaments, relay races, scavenger hunts, karaoke disco parties and participate in the award-winning National Park Service Jr. Ranger Program in Alaska on Alaska cruises. *On the ms Prinsendam, youth activities are offered for ages 5-17. All other ships offer youth activities for ages 3-17. Kids & Teens Culinary Arts Center Program: HAL Kids Culinary Workshops now offer children a unique and fun learning experience. Kids will learn basic cooking techniques, kitchen safety, new ingredients and how to follow recipe instructions. Aside from the fun involved, cooking encourages kids to think about numbers and measuring, cleanliness, safety and time management. The Culinary Art Center is a place where questions are encouraged and having fun is a must! Additional Family Services: Holland America Line is dedicated to making your family's cruise vacation memorable and happy for each member of your family. Holland America serves a wide variety of kid-pleasing food, including special sandwiches, tacos, hamburgers, hot dogs and pizza. Baby food, high chairs and booster seats may be requested in advance of boarding. On sea days, babysitting services are available through the Front Office for a small surcharge for children 3 years of age or older. This service is provided by staff on a volunteer basis, and may not always be available. Babysitting service is not offered while the ship is in port, although Club Hal does offer activities for children aged 3-12 between 8:00am and 4:00pm on port days. Special kid-friendly birthday parties can also be arranged with advance notice. Holland America Line makes it easy for you to stay fit and trim while on your journey with fully equipped fitness centers (minimum age for guests using the fitness center is 16 years old) and sports courts. Fitness centers aboard each ship include exercise and weight training equipment, and sports courts may include tennis, volleyball or basketball. The broad, generously proportioned teak decks are perfect for walkers and joggers, and when you are finished exercising, cool off in one of the pools. To maintain or achieve optimum health, work with one of the qualified personal trainers or take one of the fitness classes lead by knowledgeable instructors. Some classes include - Yoga, Pilates, Cardio, Aquarobics. 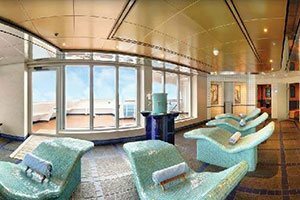 Of all the fascinating places you can visit on a Holland America cruise ship, none rejuvenates and relaxes like the Greenhouse Spa & Salon, featuring heavenly beauty and wellness rituals. Choose the blissful pampering of a facial therapy or let the trained fingers of a massage therapist soothe your muscles while working fragrant oils into your skin. Enjoy therapeutic water treatments as you steam in a thermal suite or bathe in herbs, all the while cruising to exotic destinations and enjoying the indulgences that are a signature feature of luxurious Holland America Line cruises. Relaxing treatment rooms also offer breathtaking views where guests can enjoy exotic skin, body and hair treatments ranging from hot stone massages and pedicures to hair styling and facials. A hydrotherapy pool bubbling with warm, therapeutic sea water. Available on select ships only. Heated ceramic lounge reminiscent of an opulent Turkish bath (except ms Prinsendam). Private treatment rooms, including couple's massage rooms. Massage therapy inspired by an exotic blend of cultures — from Hawaiian Lomi Lomi to Chinese Tui Na. The latest exotic skin, body, hair and nail treatments. Knowledgeable, professional therapists trained to guide you through your spa experience. For rejuvenation through exercise, Holland America Line spas offer fitness classes to help you achieve optimum health and vitality. Yoga, Pilates, Indoor Cycling and cardio circuit training are available for participants at all levels. Take advantage of treadmills, stationary bikes, stairsteppers, rowing machines, weights and weight machines. Staffed with professionals, the tranquil Greenhouse Spa & Salon invites guests to embrace sensory indulgence on a luxurious cruise vacation to remember. What`s Included in my Cruise? It does not include travel protection, shore excursions, personal expenses, specialty dining, wifi, gratuities, or alcoholic beverages. Exclusive Offer: Up to $500 to Spend Onboard! Book today & we will give you up to $500 to spend on board! You can put your credit towards a variety of fun and exciting onboard activities. Pick up a few souvenirs, decompress at the spa, or enjoy a special meal. No matter what you decide to use your credit for, exploring what a ship has to offer is half the fun of cruising! A redemption form must be completed by the guest & submitted online no later than 10 days prior to your sailing. Offer Terms:Purchase a qualifying cruise online through CruiseDirect.com and receive On Board Credit (the Offer). Offer is valid for new bookings only, made online on CruiseDirect com. Offer is valid for US & Canadian citizens only. Offer is valid only for qualifying new cruise bookings made online on CruiseDirect.com during the Offer Period. On board credit amount is per stateroom, based on price of the cruise. All eligible sailings will be marked on the website through promotional messaging. Purchasers must be twenty-one (21) years of age or older at the time of booking, and must be a legal resident of the United States or Canada to book and travel on one of the qualifying cruises. Offer may not be redeemed for cash, has no cash value and is not transferable. On board credit will expire if not used by 10:00 PM on the final night of the cruise. All Credit amounts are in U.S. Dollars and vary based on Total Cruise fare. Credit will be applied electronically after final payment has been made. No coupons, vouchers, or certificates will be mailed to the recipient. Cruise reservation must be fully-paid at least ten (10) days prior to date of sailing to qualify for the onboard credit. A redemption form must be completed by the guest, and submitted, online no later than 10 days prior to sailing in order to receive the onboard credit. Once the redemption form has been submitted, the reservation will be reviewed and, if eligible, the onboard spending credit will be applied to your booking within 7-10 days prior to your sailing departure date. Only one redemption form, per booking, may be submitted. Credit for previous purchases is not permitted and guests who previously booked, cancel, and then rebook during the Offer Period are not eligible. All qualifying cruise bookings must be booked and any required deposit fully paid to be eligible for this offer. Deposit and final payment must be made in accordance with the terms and conditions of the participating cruise line to be eligible for this Offer. Offer is being provided exclusively through CruiseDirect.com. CruiseDirect reserves the right to change these Terms and Conditions from time to time in its sole discretion. What's better than a cruise vacation? An affordable cruise vacation! Book your cruise with CruiseDirect, and you'll never have to pay a booking fee. Yep, that's right, no booking fees! Stressing out about the cost of your trip is no way to start off a cruise, which is why we're dedicated to making sure you never have to pay a penny more than necessary. 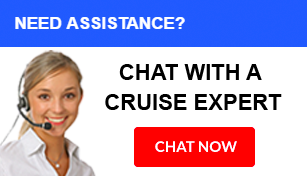 At CruiseDirect, we want you to pay less, and cruise more! With the CruiseDirect 100% Guarantee, we vow that you'll never pay a penny more than you have to. CruiseDirect works with the industry's top suppliers to secure you the best rates available, and if you ever spot a lower advertised fare, we'll match it. Book your cruise online on CruiseDirect.com today & receive a coupon to save 10% on Shore Excursions to use on https://www.CruiseDirect.com/shoreexcursion! You can choose from a wide variety of shore side activities that include scenic, cultural, active, water & beach & many more! To receive your 10% Off Shore Excursions, use coupon code CD10% upon checkout of purchasing your shore excursions! Offer Terms: Shore excursion offer is for qualifying cruise on CruiseDirect.com and receive a shore excursion coupon (the Offer). Offer is valid for new qualified bookings only made online at CruiseDirect.com. Customers must purchase the shore excursion through the website located at https://www.CruiseDirect.com/shoreexcursion and apply the coupon code CD10% before entering the credit card information in order to receive the discount. Coupon Code Expires December 2019. Offer is combinable with all other offers except other Shore Excursion offers. Shore excursions must be booked 3 days prior to sailing. Shore excursions provided by CruiseDirect.com Shore Excursion Desk (through Shore Excursions Group) may be different than those provided by the cruise line. Offer is based on availability on a first come, first served basis. Shore excursions may be withdrawn at anytime without notice, and are subject to other policies set by CruiseDirect.com, the cruise lines, and Shore Excursions Group. Refunds will not be given after the tour if the coupon code was not applied before departure. Customers will be subject to Shore Excursions Group’s terms and conditions. Offer is valid for new reservations only and is per stateroom, not per person. Deposit and final payment amounts must be made in accordance with the terms and conditions of the participating cruise line to be eligible for this offer. Exclusive Offer: Up to $1,000 to Spend Onboard! Book today & we will give you up to $1,000 to spend on board! We'll Pay Your On Board Tips! Book today & we will pay your on board tips! Offer Terms: Offer is for new bookings only, booked and deposited between 3/20/2019-5/15/2019. Offer is subject to availability and is only available on select fares. Prepaid Gratuities offer is based on pre-paid room gratuities on behalf of guests. Gratuities for bar, dining room wine accounts, or spa/salon services are not included. Offers are per stateroom based on double occupancy, for 1st and 2nd guests sharing a stateroom and excludes 3rd/4th guests, except as provided herein. Offers are available for new bookings only, apply only to the cruise portion of Alaska Land+Sea Journeys, are not combinable with any other discounts and are not transferable or refundable. Offers are applicable on select 2019-2020 sailings. Offer may not be redeemed for cash, has no cash value and is not transferable. Book today & save 50% off your cruise deposit! 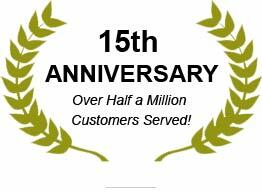 We care about our customers – which is why BBB gave us their highest rating. Is Holland America Cruise Line All-Inclusive? Holland America cruises eliminate the need to bring cash on board by including the cost of accommodations, meals, fuel surcharges, taxes, and entertainment and activities. You can make Holland America cruise deals truly all-inclusive by adding in a beverage package, airfare, and port city hotel stays to your cost when booking. 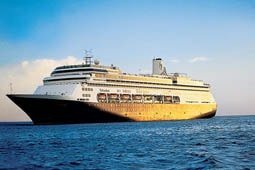 How Many Cruise Ships Does Holland America Have? 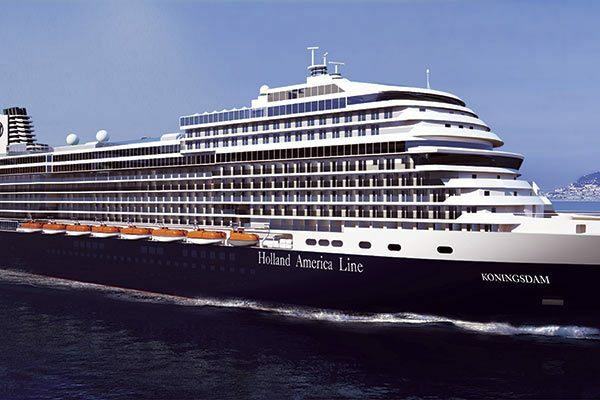 The Holland America Line includes 15 different ships. No matter which of the Holland America cruise ships you choose, you can be sure that you'll be sailing on a gorgeous vessel! Which Is the Best Holland America Cruise Ship? The Amsterdam is a great choice for cruisers with an interest in art; there's an art and antique collection right on board. Younger cruisers favor the Westerdam, which often hosts families in the summer. Meanwhile, the Nieuw Amsterdam is one of the newer ships in the line, and it's beautiful, filled with tearooms and chandeliers, an exceptional staff, and a comfortable atmosphere. 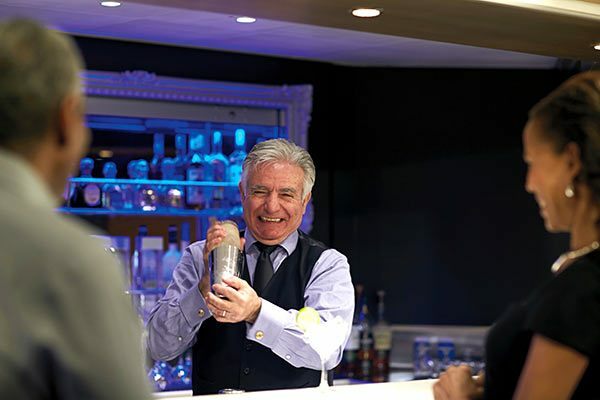 What Is the Signature Beverage Package on Holland America? The Signature Beverage Package includes the standard choices of beer, wine, spirits, sodas, cocktails, and coffee. Can You Bring Your Own Alcohol on a Holland America Cruise? Passengers on the Holland America cruise line are able to bring one bottle of wine or champagne on board when the ship sets sail. No beer or liquor can be carried on board. 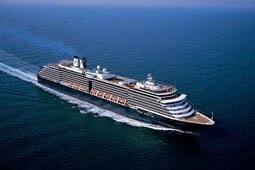 Can You Smoke on Holland America Cruise Ships? Smoking on Holland America cruises is only permitted in designated smoking areas. Do You Tip on Holland America Cruises? 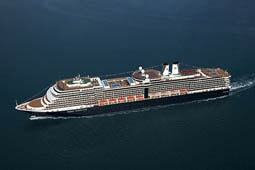 Holland America Cruises charges $16 per guest per day in suites. All other staterooms are charged $14.50 per guest per day. As is common among cruise lines, gratuities are separate from Holland America's base cruise fare. Based on the quality of services received, guests can adjust their tips accordingly. What Is the Dress Code on Holland America? Passengers wear whatever they choose during the day, but at night, the dress code becomes smart casual attire with a dressier atmosphere for dinner. Gala nights will require dressy outfits from passengers, including collared shirts for men and skirts, dresses, or slacks for women. Do Holland America Ships Have Laundry Facilities? 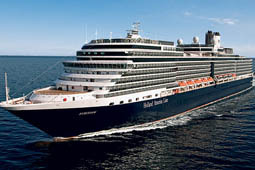 The Veendam, Amsterdam, Maasdam, and Prinsendam are the Holland America ships that include a self-service laundry room. CruiseDirect, Inc. is not responsible for content on external Web sites. All prices are per person, in US Dollars, based on double occupancy. Government taxes are not included. © 2002-2019 CruiseDirect, Inc. All rights reserved.